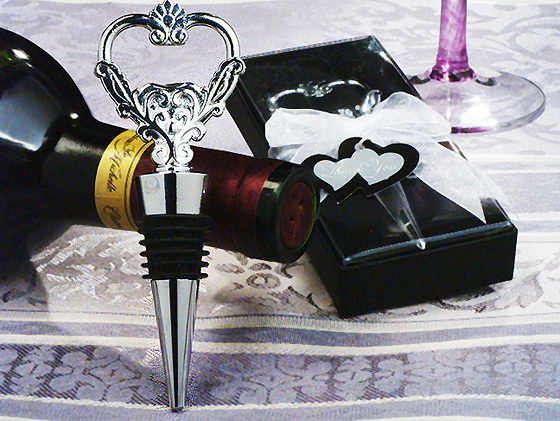 Show your guests your appreciation by giving these unique Murano Heart Design Wine Charms wedding favors. 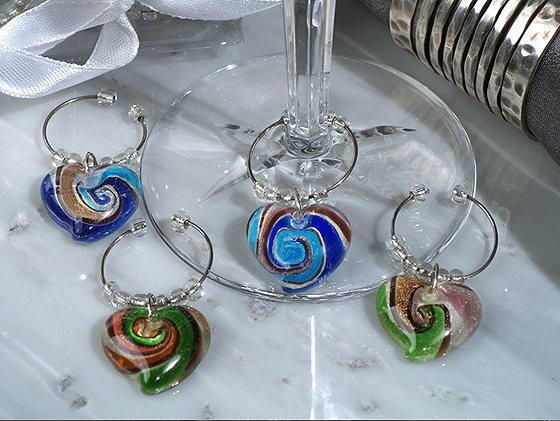 Inspired by the artisans of Murano Italy, these handcrafted Murano like glass wine charms are stunning and will wow your guests with their elegance and style. From the exclusive Murano art deco collection, these Murano Heart Design Wine Charms wedding favors are handmade Venetian like glass wine charms are made of multi coloured glass shaped in a solid heart. Each of these practical bombonieres are attached to a chrome ring with delicate bead accents and will be enjoyed by the wine enthusiast in the crowd. 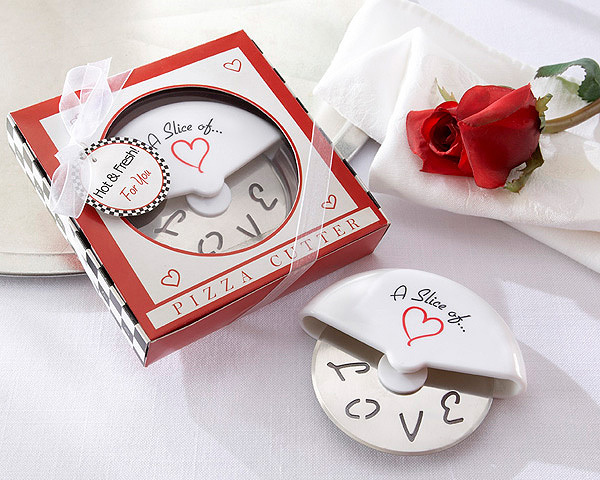 The perfect heartfelt token of your appreciation, this favour is sure to impress your guest with the sophistication and elegant design. Each of these Murano Heart Design Wine Charms wedding favors come packaged 4 per set in a clear pvc gift box for viewing the elegance and finished with a white satin ribbon. Each charm measures approximately 1″ x 1″. Buy this now. 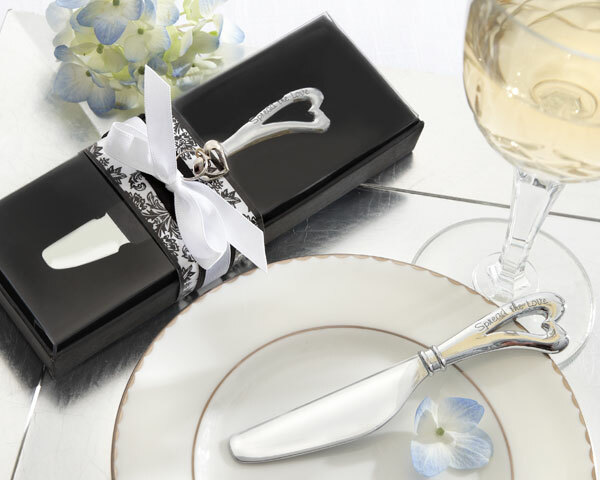 As beautiful as the meaning behind it, the “Spread the Love” Chrome Spreader with Heart-Shaped Handle wedding favors are everything elegant wedding or shower favours should be—designed for today’s contemporary tastes, practical, sparkling with style and impressively gift-wrapped. 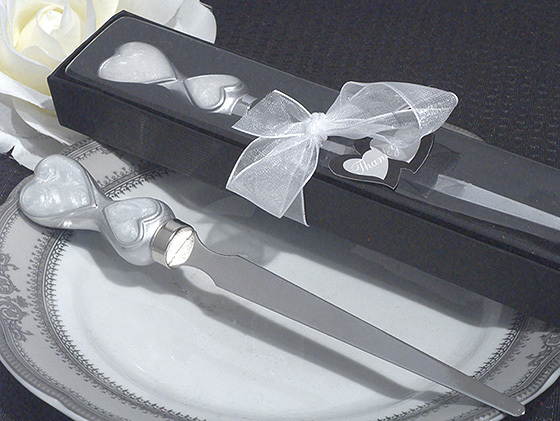 Simply putting this gorgeous thank-you gift of these “Spread the Love” Chrome Spreader with Heart-Shaped Handle wedding favors at each place setting intensifies the impact of your reception tables! Buy these now. Someone once said, “Love is like a butterfly. It goes where it pleases, and it pleases wherever it goes. Perhaps that’s why this “Fluttering Heart” Butterfly Chrome Bottle Stopper, magnificently marrying both the symbol of love and the butterfly, has a remarkably pleasing effect on guests at any event. Family and friends will remember your heartfelt thank-you and the wonderful celebration that brought you all together. Artistically designed, chrome bottle stopper with a notable weight and quality. Elegant, heart-inspired with openwork butterfly at the top. Bottle stopper measures 4 1/4 ” h x 3 1/2 ” w.
Gift presentation includes clear, showcase gift box, beautiful graphic of yellow, lavender and pink butterflies winging through the sky, a white-satin ribbon and bow, and a butterfly-shaped “For You” tag. 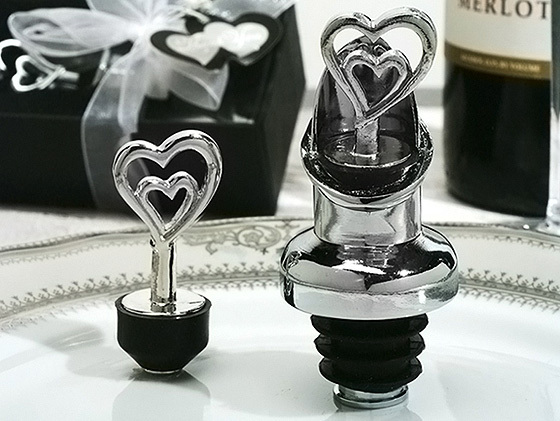 Fluttering Heart Butterfly Chrome Bottle Stopper [A11073NA-45-20-09] – $2.58 : Do Me a Favor Gifts, Present the Perfect Thank You.